Rick Scott Attends Senate Freshman Orientation in DC - Joe.My.God. Republican Florida Gov. 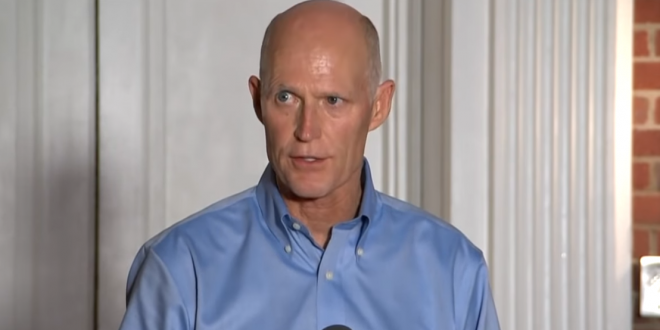 Rick Scott is in Washington, D.C., Wednesday for the start of the Senate’s freshman orientation although no winner has been officially declared in his race against Democratic incumbent Sen. Bill Nelson. Scott stood beside Senate Majority Leader Mitch McConnell for a photo op along with incoming Republican freshman senators including Tennessee’s Marsha Blackburn and Missouri’s Josh Hawley Wednesday morning. The incoming senators will vote for party leadership as well as pose for endless photos and learn where the restrooms are located.